Fiat 500 1.2 S 3dr 2019 Review | What Car? What Car? will save you at least £650, but our approved dealers could save you even more. The Fiat 500 is wonderfully stylish and reasonably cheap to buy, but plenty of rivals are better to drive and more practical. If you're smitten by the looks, go for the entry-level 1.2 petrol engine in Pop or Lounge trim. Avoid the 0.9-litre Twinair. This 68bhp engine offers the cheapest and, in many respects, best route into 500 ownership. 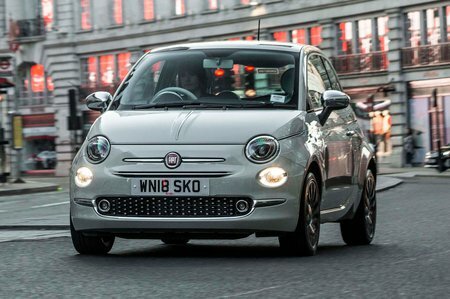 It’s a perfect match for the baby Fiat’s cheeky nature because it loves to be revved, and while performance isn’t exactly sparkling, it’s hardly sluggish. Surprisingly, this engine has proved more economical than the smaller, and pricier, Twinair in our real-world tests. A Dualogic semi-automatic gearbox is optional on this engine, but is best avoided.